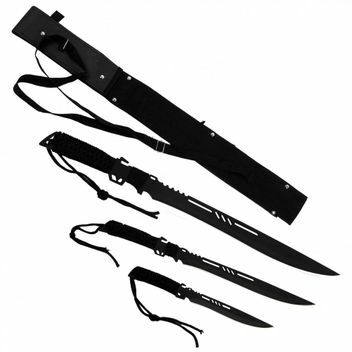 The blades of machetes are made from blackened 440 stainless steel. The blades are sharpened. For the machetes there is a carrying bag.